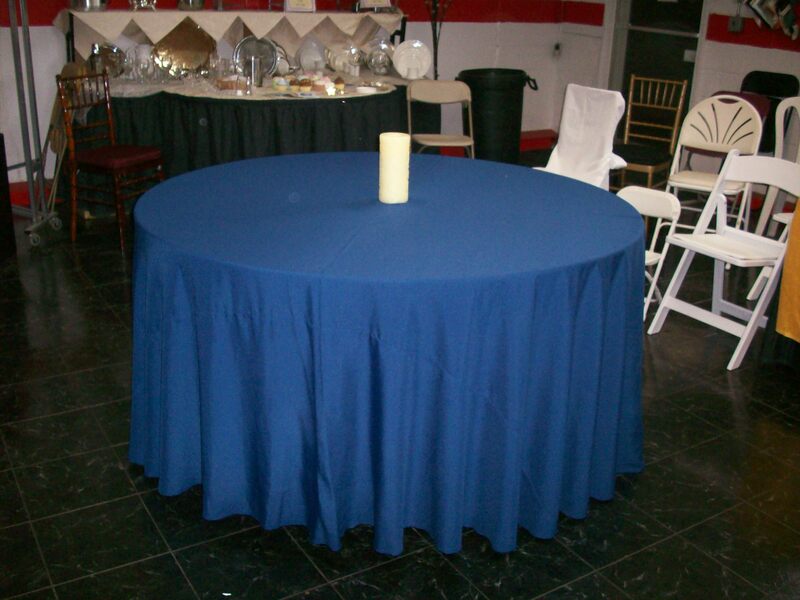 Featured here you will see a 90″ round linen on a 60″ round table. 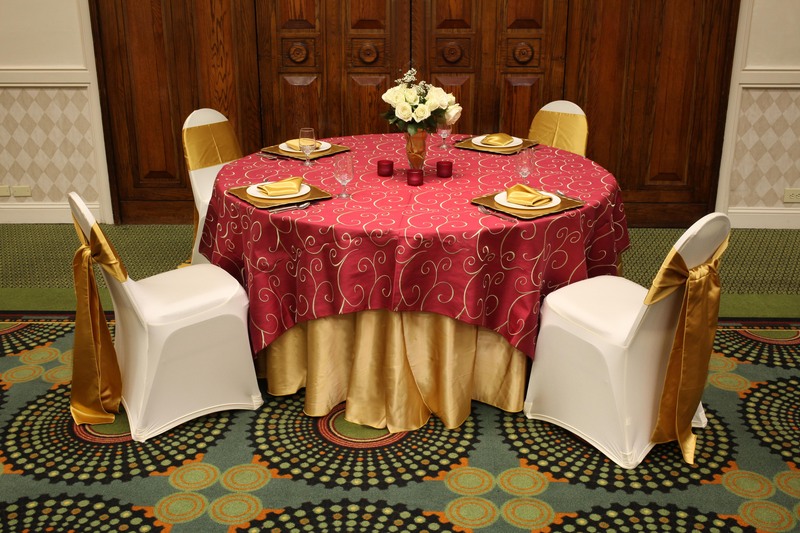 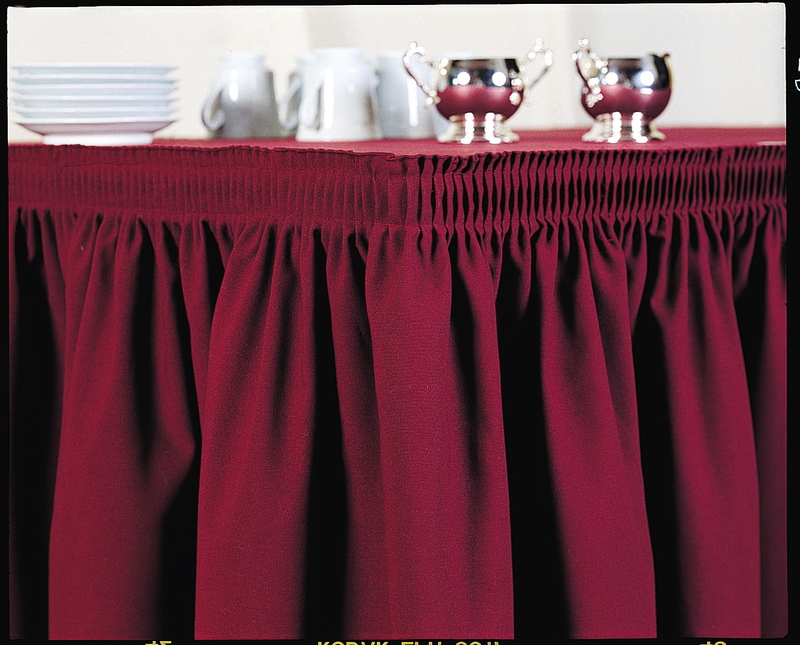 This table size is the most common size for banquet halls. 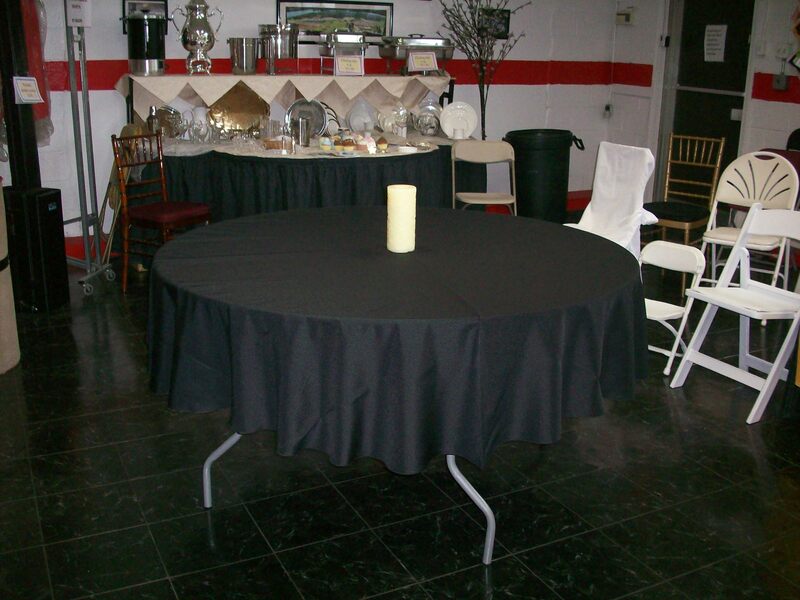 As you can see, it reaches half-way to the floor. 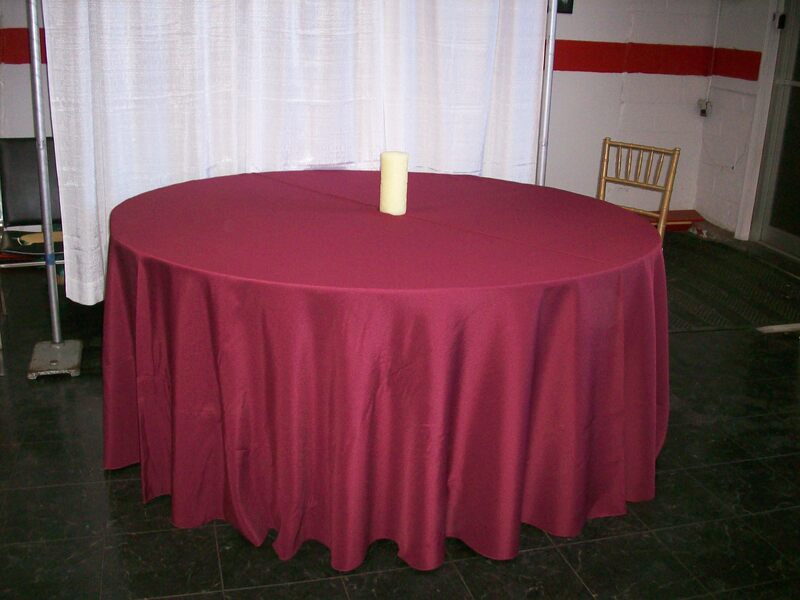 Price is for a single solid colored polyester tablecloth.